So was Tron: Legacy anything more than ear and eye candy? Unfortunately, the story was a little flat, and it felt very Lucasian – my term for the plot being the shortest route between two action set pieces. As a matter of fact T:L was almost a remake of the first movie. And though serviceable, was a bit of a letdown to me. I hoped for a bit more than more-of-the-same. In the original 1982 Tron, Jeff Bridges plays Flynn, the founder of Encom, a hugely successful video game company. After being tossed out by corporate baddies, he enlists the help of a couple others to help him break in to the HQ, hack in to the mainframe, and to insert the “Tron” security program, which will find all the info he needs to get his company back. Unknown to him, Encom has been experimenting with digitizing matter with lasers, and – you guessed it – he picks the one computer positioned perfectly where the laser can zap him. An aside here, but if you owned a laser that could cut you down to atoms, would you position it right where it can shoot you in the back? Well, that’s what happens. Flynn is digitized and finds himself in a computer world where programs take the form of the people who created them. He’s forced to play to-the-death video games like a gladiator, makes an escape, and then embarks on a perilous chase across the computer system to reach the one place where he can escape to the real world and where Tron, the program played by Bruce Boxleitner, can do his mojo to foil the corporate baddies. Well, T:L generally follows that same plot minus the corporate shenanigans. A few years after the first film, Flynn has (unknown to everyone) been imprisoned in another computer system by CLU, his computer alter-ego gone bad. Fast-forward to the present, Flynn’s now-grown son, Sam, tries to hack in and is zapped by another laser also wisely positioned where the operator can be fried. He finds himself in the computer world, plays video games, breaks out, makes the dash toward freedom with Dad, and escapes to the real world, bringing with him something with the potential to change everything. I think T:L will be more enjoyable to those who’ve never seen the original, which may explain why Disney oddly did not re-release it on home video in the months leading up to T:L coming out. But, I think there is hope for the franchise. What Sam escapes with seems to be the seed of a future installment with a lot of potential to be as an original a story as the first Tron. As of this writing T:L has made over $300M worldwide, so I imagine news of a sequel will be coming soon. If so, let’s hope they have the guts to move toward originality and not resort to round three of more-of-the same. 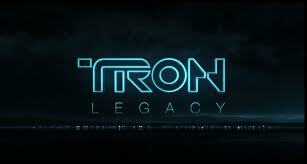 In my next post, I’ll conclude with my thoughts on the messages in Tron: Legacy. This entry was posted in Reviews, Speculative Fiction, TV and Movies and tagged Christian worldview, movie reviews, movies, plot, scifi, Speculative Fiction, Tron, Tron: Legacy. Bookmark the permalink.